more, until the dough is smooth. To mix in a food processor: Measure the flours and salt into a food processor, then pulse briefly to combine. Break the eggs into the flour mixture, then add the oil. Pulse until the mixture forms large, curdlike crumbs. Turn the mixture out onto a clean work surface and gather it together to form a rough ball; then knead for several minutes to make a smooth, stiff ball of dough. Wrap the dough tightly in plastic wrap and let it rest for 30 minutes at room temperature. Cut the dough into 4 equal pieces and rewrap 3 (so they don't dry out). Using a hand-crank pasta machine or a stand mixer pasta roller attachment, stretch the piece of dough to a strip about 1/8-inch thick — thicker than you normally would for noodles. Let the sheet dry slightly while you roll out the remaining 3 pieces of dough in the same way. If you're using a traditional chitarra, trim the sheets of pasta so they are about 3 inches shorter than the length of the instrument. (Save the trimmings in plastic wrap and reroll once to make one more sheet of pasta.) Place one sheet on the chitarra. Use a small rolling pin to roll back and forth over the dough, pressing, first gently and then more firmly as you go, to cut through the dough. 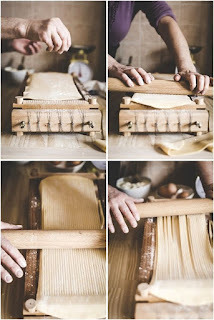 A wood slat in the bottom of the chitarra will catch the noodles as they fall through the wires. 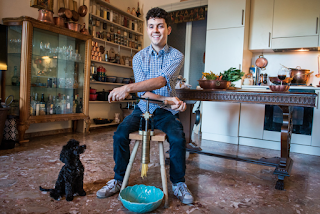 (Some cooks “strum” the chitarra with their fingers to help the noodles drop.) 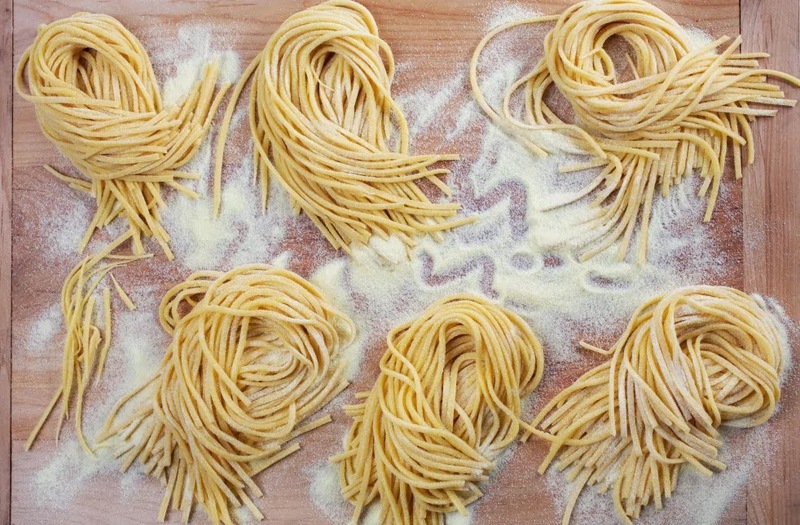 Tip out the noodles, sprinkle them liberally with semolina and wrap them around your hand to form a nest. Set it on the prepared baking sheet. Cut the remaining sheets of pasta in the same way and set them on the baking sheet. 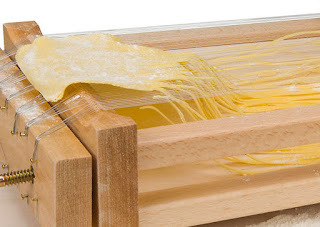 If you're using a pasta machine, use the chitarra attachment to cut the noodles. Form them into nests, then transfer to the baking sheet. If you're cutting the spaghetti by hand, sprinkle a pasta sheet liberally with semolina flour. Beginning at one end, roll the sheet up loosely. Use a sharp knife or cleaver to cut the roll crosswise into 1/8-inch-thick noodles. Gently toss the noodles to separate them, sprinkle with more semolina, and place them in a mound on the baking sheet. To cook, bring a large pot of water to a rolling boil over high heat, then salt the water generously. Drop in the chitarra nests and return the water to a boil. 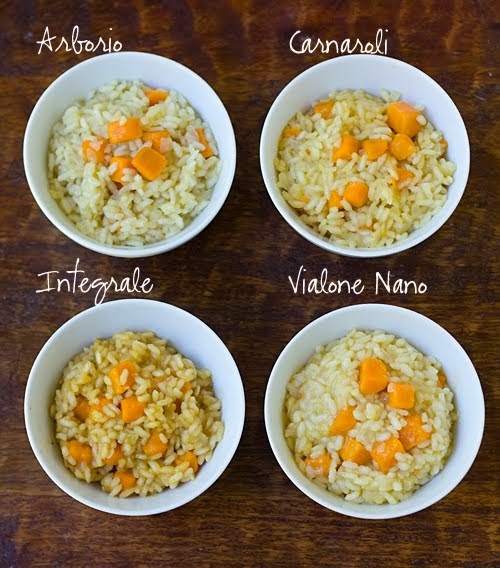 Cook for 2 to 3 minutes, until al dente.